Our latest tester, Karen Collura, is testing the Roto Grip Shooting Star. Karen is a 3-time USBC Womens’ Titlist in the classic division. 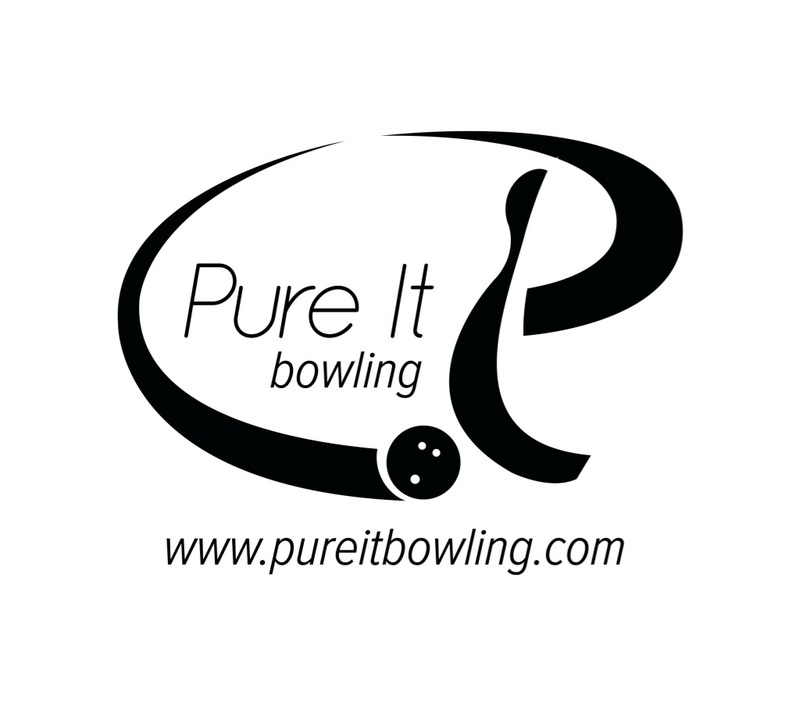 She is also a 4-time Canadian National World Cup Titlist among other accolades. She is a low speed, rev dominant bowler. The ball was drilled by Eric Deaton of Strike-Mor Pro Shop in Etobicoke, Ontario, Canada. The ball was tested on a modified Kegel Easy Street used as the house shot as well as the Kegel Autobahn Sport shot. Karen’s PAP is 5″ and 1/4″ up. 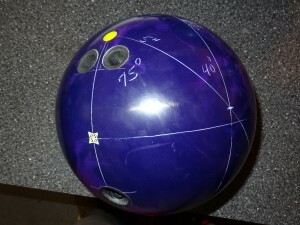 The ball is drilled 75 x 5 x 40. This is a wider drilling angle which allows the ball to get into a roll later. The 40 degree VAL angle allows the ball to have a medium speed of transition at the breakpoint. The 5 inch Pin to PAP will allow a lot of flare. This kind of drilling tends to allow for good length and good movement at the breakpoint. The Shooting Star is quite strong for it’s price point. Definitely capable of lots of backend, yet controllable ball reaction. 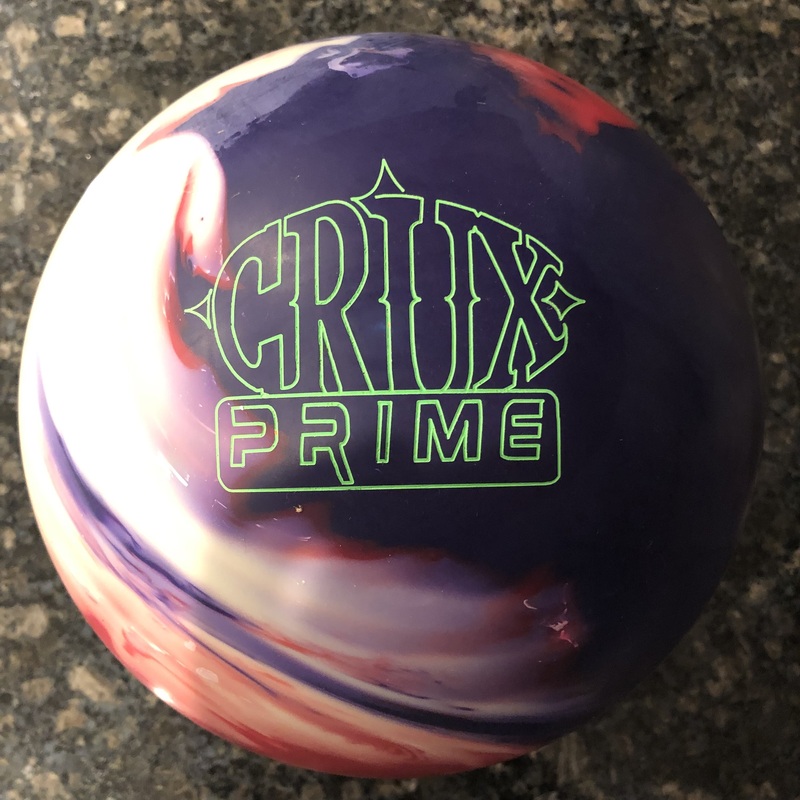 Roto Grip has made it a habit of offering good value at this price point. I really think the Shooting Star and Rising Star offer superb bang for the buck. The Neutron core has an RG of 2.55 and differential of .042. It is a symmetrical core. The RG allows the ball to get some length and the differential allows for good recovery. It’s mild numbers lead to a nice controllable ball reaction. The cover is known as the Ultimate Vision Solid Reactive. This is a reasonably strong cover. It’s finished at 2000 abrasion out of box which is intended to create a controlled ball reaction. It also creates a relatively strong ball reaction. The cover takes pretty easily to surface adjustments and reacts as expected. Small changes to the surface correlate to small changes in ball reaction. No surprises here. Those who have thrown the Rising Star will recognize this ball reaction, but it will be a couple of feet shorter and a few boards stronger overall. 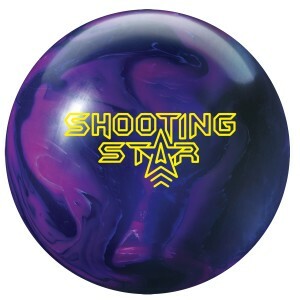 While I believe the Rising Star is more versatile, this ball has its place when you need something a bit stronger and a bit more controllable. As you can tell from the video and corresponding Digitrax analysis, this ball is capable of some pretty high entry angles. You can also see how strong the ball is on the 38 ft house pattern. The ball predictably gets into a roll pretty early. In turn, there is little energy remaining at the pocket. Karen is a low speed, rev dominant bowler and thus it makes it quite difficult to use this ball at 2000 abrasion on such a house shot. However, the ball came to life on this shot at 4000 abrasion with polish. It pushed through the heads more easily and continued to have a predictable backend. With that being said, the ball truly shined on the Kegel Autobahn Sport shot. Obviously accuracy is key on such a shot, but at 2000 abrasion on this heavy 42 ft pattern, Karen threw strike after strike. The ball made it through the heads easily but really took off at the end of the pattern. However, this wasn’t the type of backend reaction that was over/under. It consistently made the move at the same breakpoint distance and with the same angle. Again, Karen is a top bowler, but to have that kind of consistency on such a difficult shot also shows how well the ball matches up. 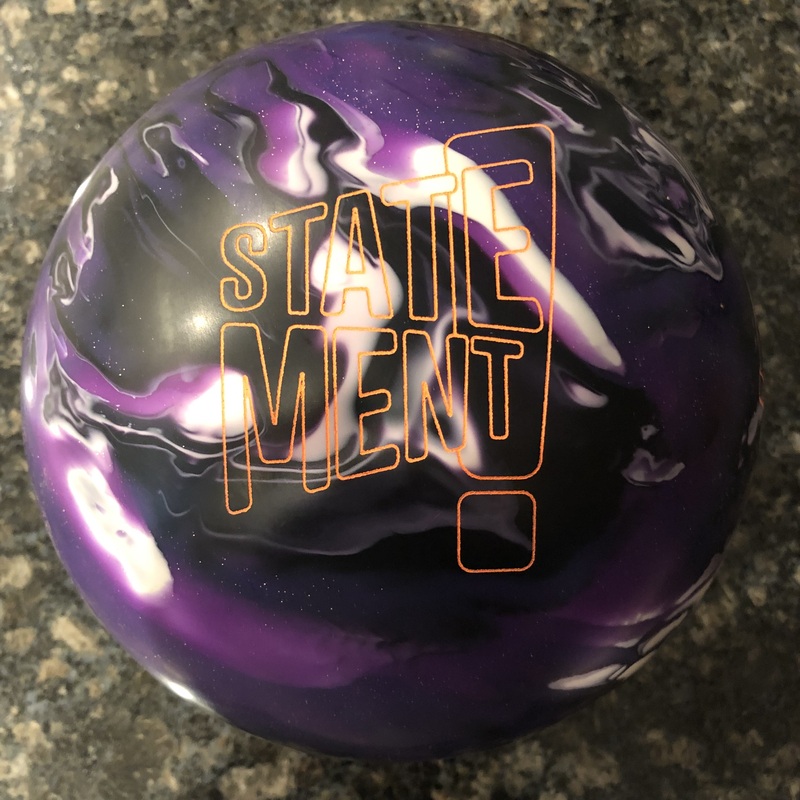 This ball clearly shines on flatter patterns when a more consistent ball reaction is required. No surprises. 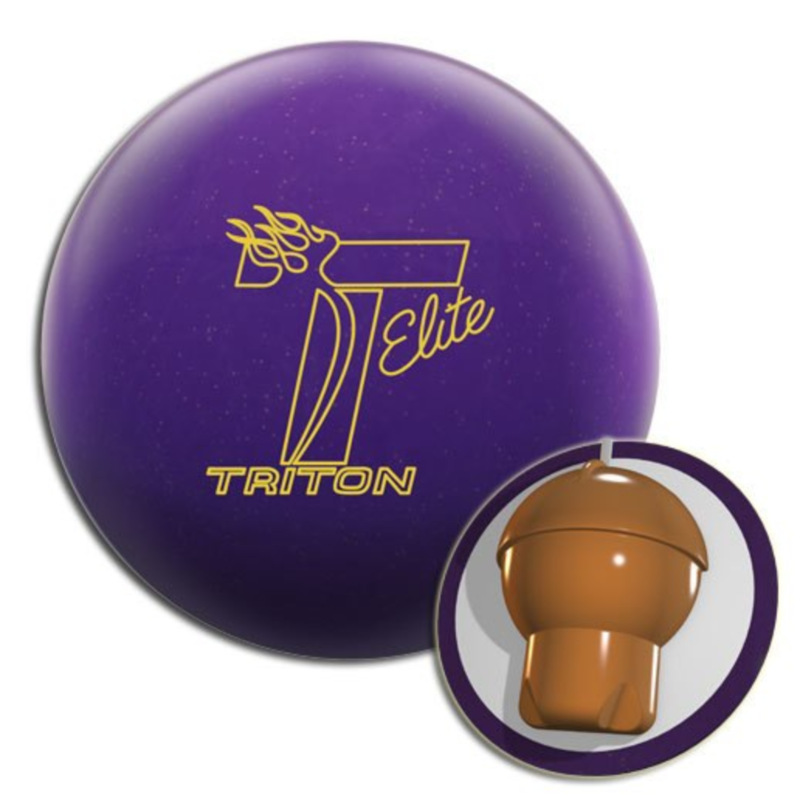 For bowlers with more speed, a little polish can be used to allow this ball to be used on your typical house shot. Actually, it reminded me of the Storm Furious in overall reaction shape. The ball gets down the lane nicely with a consistent yet strong move. The sport shot shows Karen’s preferred outside line vs a test for an inside shot at 2000 abralon. Speed is just under 15 mph for both shots. For the outside shot, Karen targets 4 at the arrows to 1.5 at the breakpoint of 35 ft. She gets an entry angle of 8 degrees. For the inside shot, she is targeting 13 to 7 at 40 ft with a 6 degree entry angle. As expected, moving in allows the ball to get further down the lane before making a move, yet both shots generate considerable entry angles. To get 6 degrees on such a shot from further inside is pretty commendable. On the house shot, we compare the 2000 abralon out of box finish to the 4000 abralon + polish finish. It should be pretty clear the dark blue line is the out of box ball reaction. OOB, she is targeting 14 to 5 at 39ft with a whopping 8.4 degrees of entry angle. That’s a pretty big move for a ball that approaches burn out on this shot. With 4000 + polish, she makes a minor adjustment of 13 to 6 at 40 feet with a still strong 7 degrees of entry angle. In this case, while still pretty strong, the reaction was much better for the house shot. 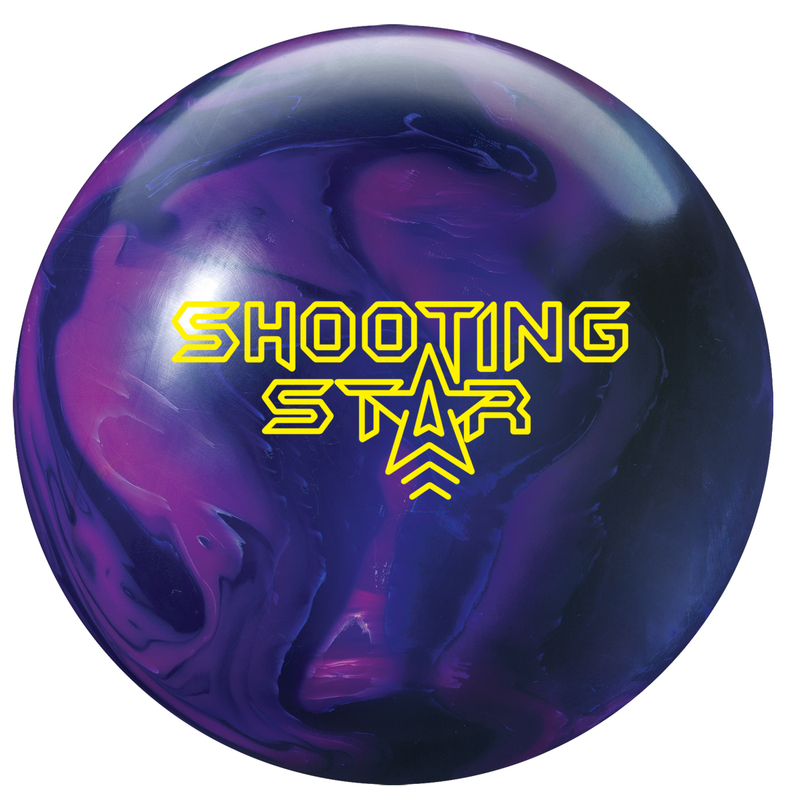 The Roto Grip Shooting Star is quite a bit of ball for the money. It has more than enough strength on the typical house shot, in fact, perhaps a bit more than needed depending on the bowler. For slower ball speeds especially, this will be too much ball on shorter house shots. For average speed or speed dominant bowlers, this could be a good option and a step up for fresh shots compared to the Rising Star. For those that compete on more difficult heavier sport patterns, this is an excellent option to have in the bag. The match up of the cover with this shape cover makes for a very predictable ball.